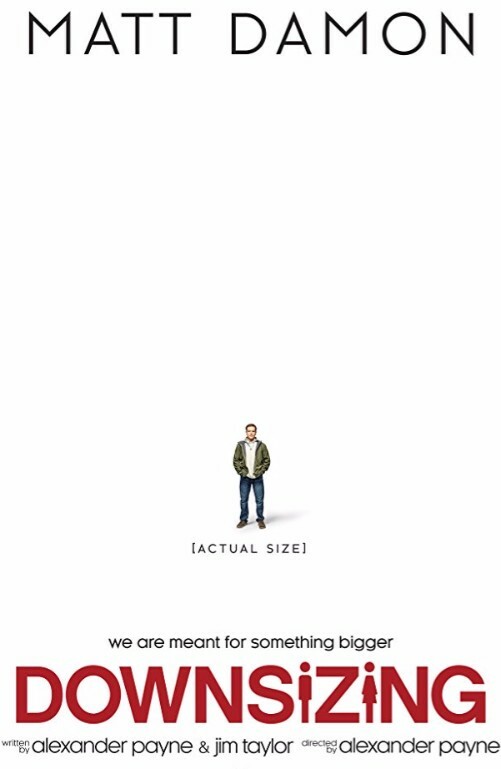 Downsizing Needed Quicker Pacing And More Honest Marketing. Shame on you director Payne! 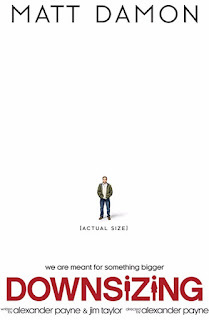 Downsizing stars Matt Damon, Christopher Waltz, Hong Chau, Kristen Wiig, with a few other notable names making quick appearances in a film written and directed by Alexander Payne (The Descendants, Nebraska). Matt Damon films on Amazon. First up, this film was marketed to seem like a comedic film about people getting miniaturized to live the good life, but this film was a very serious film with so few light spots that when funny moments occur, they seem even that much more funny. PLUS, don't be confused, there are scenes in the trailer that never show up in the film. The film starts out showing us a nearly full-length symposium declaring that the technology to shrinking humans is now real. We then shift to following the Safraneks, Paul (Damon) and Audrey (Wiig) and tough social and economic challenges they face, and how they happen upon the option for society to downsize and live the good life. But once they make the choice, this life adventure takes a somber and serious turn that touches on some of life's more serious social and economic issues. Despite the film being categorized partly as comedic, IT IS NOT. In fact it is far from being a comedy. In the opening scene we're treated to a scientific symposium on how shrinking people can save the earth's resources and it's a very detailed and long-winded opening scene. A scene that had me wondering if this was not a precursor to the rest of the film. Not only did the opening drag on, it took nearly 40 minutes before our hapless married couple enter the shrinking facility. Before that it's just one thing after another about different aspects of their life. I was developing a boredom headache at this point and there was still no salvation after that. To be honest, the trailers misled you enough to make it feel disappointing when the film never goes where you think or hope it is going to go. Or least you start hoping after the first 45 minutes. And yet by the third act, the film starts to evolve a story of sorts after taking the first two acts to set this up. Damon plays his part wonderfully, while Chau really quietly carried the film once she shows up. But there are too many story issues that outweigh the abrupt outcomes and film ending, even if the third act does redeem the film to some degree, as Payne comes out hitting hard to address a few social issues of life outside the box office. Sobering. Dramatically speaking, I'd suggest a 6, but I AM NOT happy I dropped money on Downsizing at the box office. I think it will be a worthy addition to the TV landscape once it gets there.